The main goal of container shipping is a safe delivery of the contents. To achieve this goal is especially important when transporting dangerous goods. 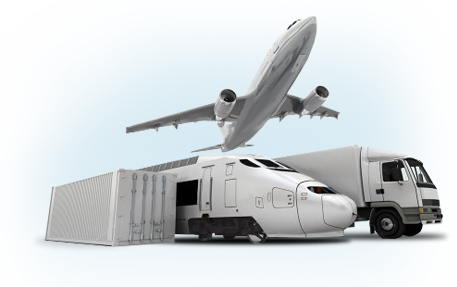 The client wants that the cargo arrives at the point of destination safe, clean, and undamaged. Cargo stowed in containers must be secured on all sides to prevent shifting during transportation, in particular towards the door. Empty spaces between packages and/or container walls must be filled. The cargo is secured with the help of special lashing points on top and bottom side rails and on corner posts. Containers should be loaded in accordance with guidelines for packing cargoes other than bulk cargo in or on cargo transport units (CTUs) for transportation by any modes of transport by sea or by land. The guidelines are published by the International Maritime Organization (IMO) and International Labour Organization (ILO). The table presents cargo securing components in the container. Special lashing bars on corner posts, on top and bottom side rails, or lashing rings in the floor For fastening ropes, plastic strapping, steel strapping, rapid tensioners, etc. Depending on the purpose, special aids have been developed to secure cargo in containers. For bracing, dissipating pressure, and dividing cargo the following aids are used: wooden beams, planks, squared lumber, wooden dunnage, boards, stowage gratings, empty pallets, airbags, empty packages, intermediate floors and partitions. In addition to these, nets are used to secure cargo in sections. To fill empty space, wooden beams, planks, squared lumber, wooden dunnage, boards, stowage gratings, airbags, empty packages, foam, corrugated cardboard, used tires can be employed. To load cargo in several layers, wooden beams, planks, squared lumber, wooden dunnage, boards, stowage gratings, intermediate floors with partitions are used. To secure cargo to lashing points, nets, ropes, wire ropes, belts, steel strapping, plastic strapping, nylon strapping, chains, rapid tensioners are used. To join pallets, sleds and plates wooden connectors are used. To increase friction, empty packages, ropes, plastic mats, coconut fiber mats, sacks, rough paper, nonslip spray, and rubber mats are used. If the container is loaded to the maximum capacity, the weight of the cargo must be evenly distributed over the floor area. The load-carrying components of the cross-section of the floor are the lower side rails. They withstand the weight of the cargo on the floor. For safe container cargo transportation, it is important to load as many as possible of the bottom rails. One should avoid point loads as they can damage the container floor. Point loads always occur when transporting heavyweight cargo concentrated on a small area of the floor. When packing a container, it is important to check the line load. The maximum line load for a 20’ container is 4.5 t/m, and 3 t/ m for a 40’ container. For a cargo weighing 15 t and having the length of 6 m, the line load is 15 t/6 m = 2.5 t/m. This cargo can be transported in either a 20’ or a 40’ container. If a cargo weighs 16 t and has the length of 4 m, its line load is 16 t/4 m = 4 t/m. In this case, the cargo can be transported only in a 20’ container. If the maximum line load of a 40’ container is exceeded, its transportation will be disallowed. However, if a 40’ container is to be used, the bearing area must be enlarged to ensure safe transport. Sleds or special dunnage may be laid under the cargo. The minimum plank width to be used in 20’ containers is 10 cm, in 40’ containers – 15 cm. The minimum distance between the planks and the center line of the container is 40 cm. When packing a container with the use of a forklift, care must be taken to avoid overloading and potential damage. ISO 1496 establishes the following limitations for the use of a forklift: the maximum axle load must not exceed 5460 kg, the minimum wheel bearing area is 142 cm2, wheel width – up to 18 cm, track width – up to 76 cm. Forklifts with the lifting capacity of 2 t have the maximum axle load of 5 t when loaded, which allows them to access the container floor. Forklifts with the lifting capacity of over 2.5 t, can exceed the maximum axle load of 5460 kg: however, are also often used for container packing. ISO 1496 and the Container Safety Convention (CSC) establish the permissible loading capacity of container walls and container roof. Containers must withstand a load in the longitudinal direction which corresponds to external acceleration of 2g that acts horizontally on the fastening elements of the roof. These stresses are transmitted by trucks to containers through turn-lock fasteners (twist locks). The CSC lays down that end walls must withstand loads of 0.4 g. This corresponds to 40% of maximum load of the container when the end wall is evenly loaded. According to the CSC, side walls must withstand loads of 0.6 g, which correlates with the evenly distributed load of 60% from the maximum load. These values apply only to large-area loads. Point loads can easily damage the walls of the container. If point loads cannot be avoided due to the nature of the cargo, appropriate safety measures must be taken. According to the CGS, the permissible loading capacity of the container roof amounts to 200 kg over an area of 60х30 cm; therefore, cargo must never be put on the roof. When multiple containers are stacked on top of one another, the force is excreted on the corner posts, thus relieving the roof. .
Every container is marked with a CSC plate indicating the container characteristics. When cargo is handled by cranes or forklifts, it is important that the center of gravity is as close as possible to the centre of the container. If the center of gravity is too far from the centre, more effort is needed to lift the container, and the potential risk of tilting during the transportation is increased. To ensure safe handling of cargo, one should follow a number of guidelines. In a 20’ container the center of gravity is positioned 60 cm away from the centre of the container lengthwise; crosswise it is positioned at the center of the container; and vertically - beneath the geometric centre of gravity of the container. For a 40’ container the maximum offset is 90 cm lengthwise, crosswise the centre of gravity is positioned at the centre of the container; and vertically – beneath the geometric centre of gravity of the container. Packing should be planned before it is started. It helps segregate incompatible cargoes and produce secure stow in the container. A plan must also take into consideration the possibility of cross-contamination by odor or dust, as well as physical and chemical compatibility of cargoes during container shipping. Light cargo is stowed on top of heavy cargo, dry cargo – on top of wet cargo. Void spaces must be eliminated to ensure the safety of transportation. Load must be distributed in such a way that neither of the halves of the container was bearing more than 60% of the cargo weight. . Dangerous goods are stowed at the bottom of the container. When stowing barrels on top of one another, additional partitioning must be used. The correct load planning is the best way to prevent damage. Twist locks and corner castings are the standard turn-locks for securing containers. They are used for securing containers on container ships, trucks, and railroad wagons, and for handling by container cranes and sidelifters. The main advantage of locks is that containers can be transported without opening for months and do not require any maintenance. Even under bad environmental conditions the container is easy to use. The complex part of the mechanism is positioned on the vehicle where it is often examined and oiled. Corner casting has no moving parts, only a 12,45x6.35 cm oval hole in the bottom. Twist lock, which is fitted to cranes and transport bases, is inserted through the hole, and then its top part is rotated 900, so that it cannot be opened. Attention! The maximum size of locks and holes is defined in international standard ISO 1161:1984. The tensile strength of a twistlock is rated at either 20 or 25 tonnes.